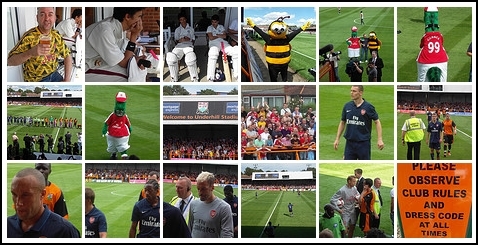 Paul and I went to the first friendly of the season at Barnet FC on Saturday. It's an annual event and always a good laugh. We even got to watch the cricket. The Underhill ground itself is on a wonderful slope... so it was all downhill in the second half (fnah).